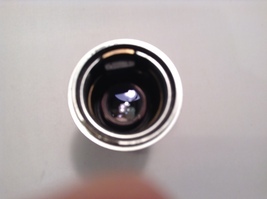 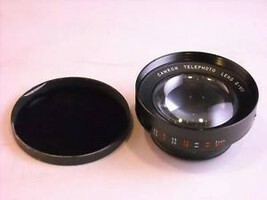 'Asahi' 2X tele-converter lens. 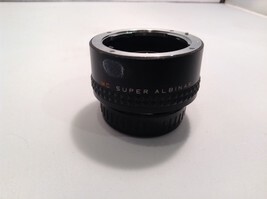 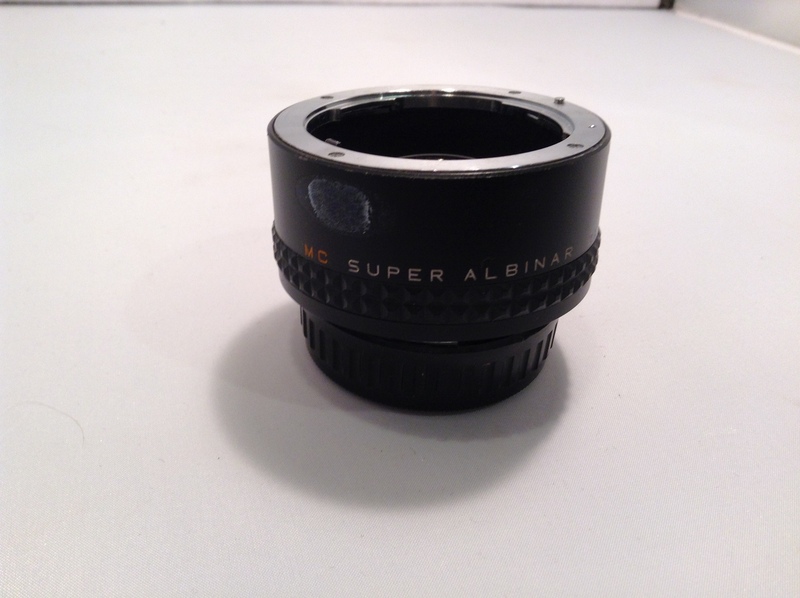 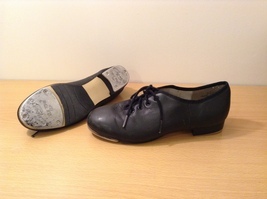 MC super-albinar 2X coverter. 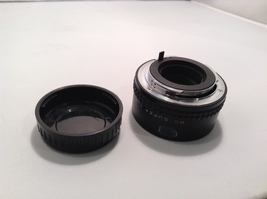 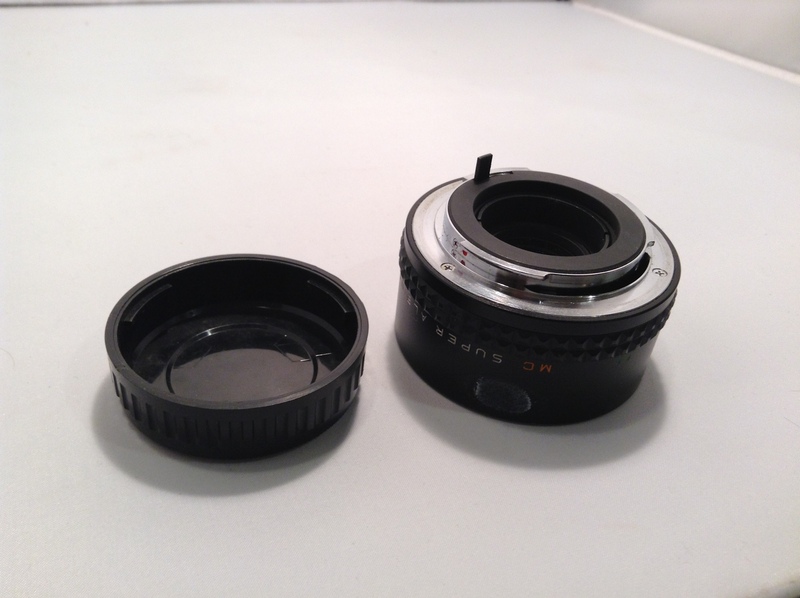 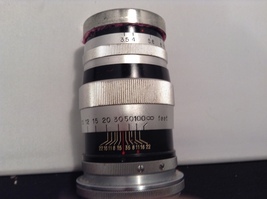 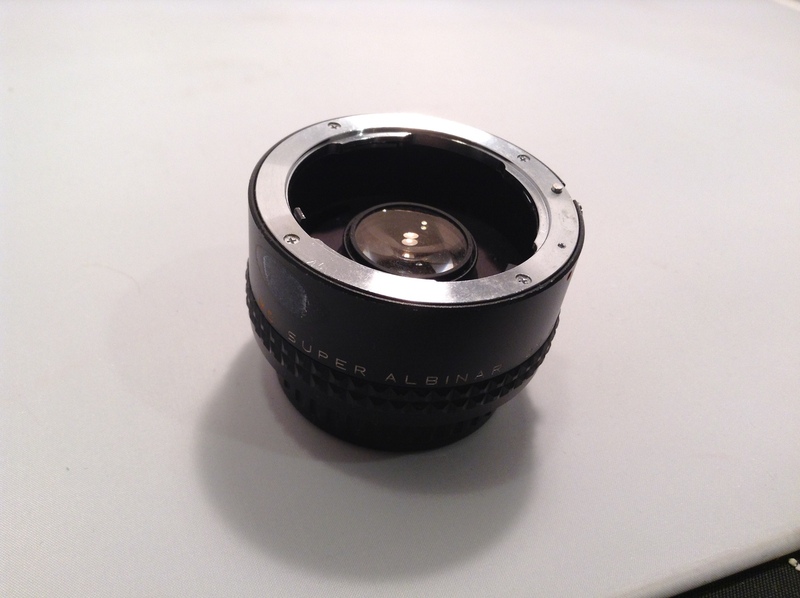 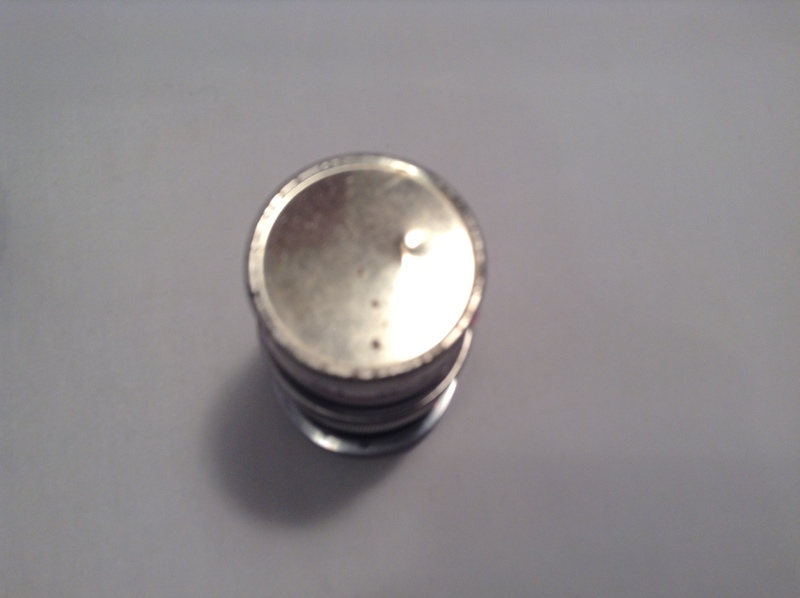 Lens is missing the back cover, but is otherwise in great condition! 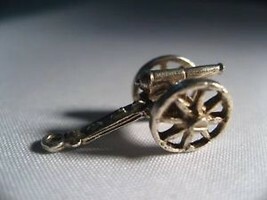 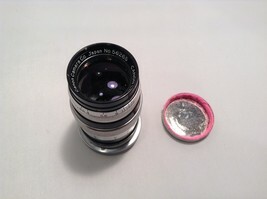 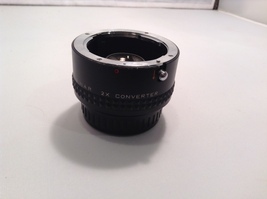 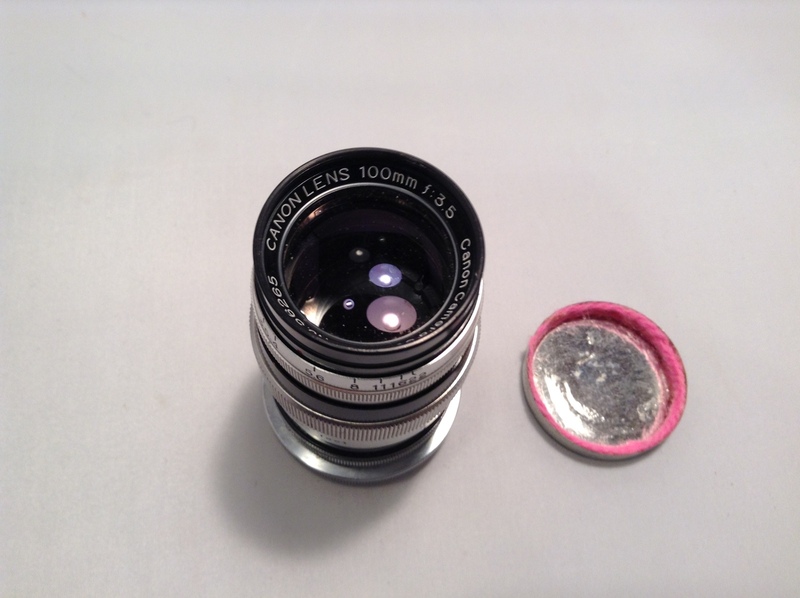 And 'Cannon' 100mm lens f3:5 - missing black cover, but is otherwise in great condition!